Looking for an affordable way to enjoy Lake Alice? This is as good as it gets! Furnished cabin on level frontage with good well and septic, 2473 feet of frontage with your own dock. Large bedroom with 2 sets of bunk beds and an additional bedroom with queen bed. Nice sized kitchen-dining area with grand view of Lake Alice. Watch the kids swim right out front of the cabin. 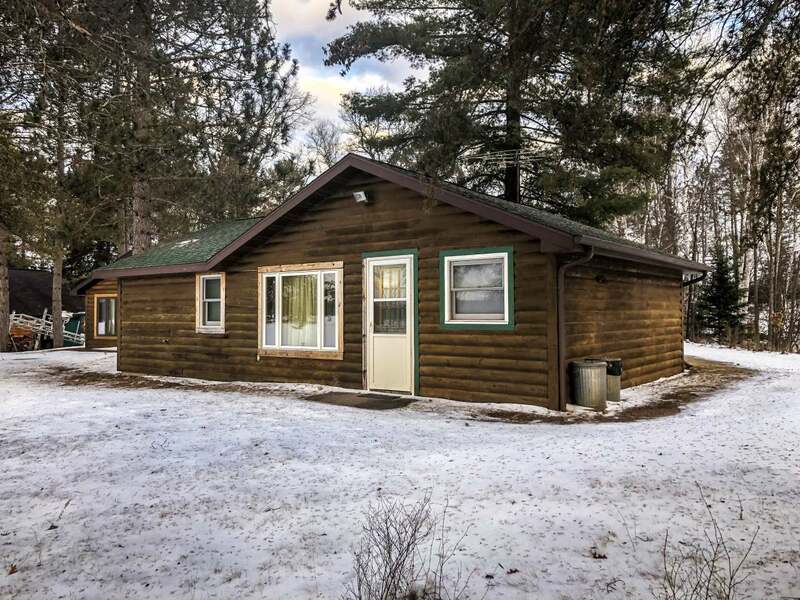 Cabin is at the end of the lot with a great firepit area that is private. This is worth a look!! Private boat landing and boat parking area. Great way to get on the lake for an affordable price.